After a day of visiting local attractions or attending training at﻿ FlightSafety International, unwind over a snack and cold drink inside your hotel room. Every one of the 99 hotel rooms at the Country Inn & Suites, Wichita East, KS includes handy conveniences like a microwave and a refrigerator. You can also check email on your smartphone or laptop using free high-speed Internet access, or settle down in front of the TV to enjoy DIRECTV DRE, which enables you to pause, rewind and record live TV so you don’t miss anything. 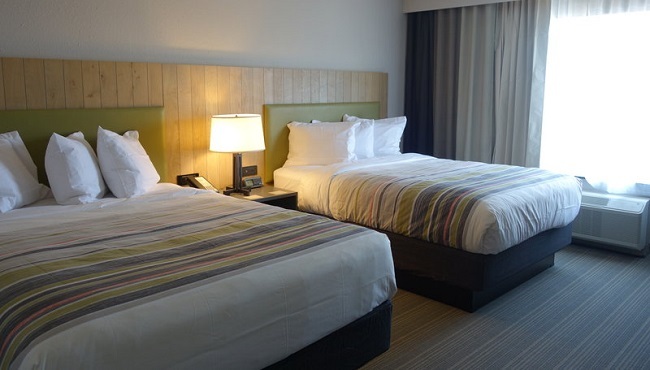 Give yourself plenty of room to spread out when you sleep by booking a One King Bed Room. Traveling with a friend or the kids? Reserve our Two Queen Beds Room for ample sleeping space. 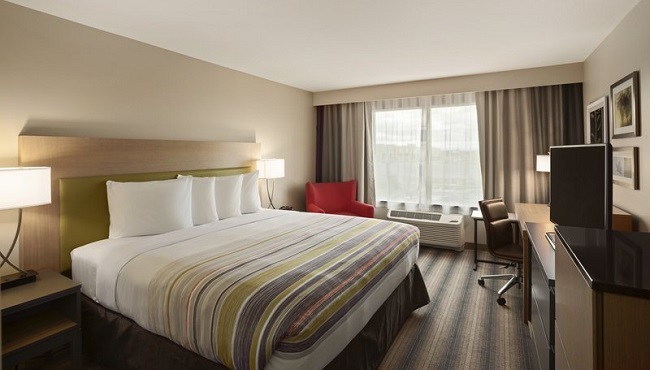 Treat yourself to our spacious King Suite when you’re in town on business. In addition to standard amenities, the King Suite offers extra perks like a jetted tub. For added space and privacy, settle in a One-bedroom King Suite. These suites give you the feel of home with a separate living room.